Our experience includes, but is not limited to; apparatus or fixed installations in rail, the built environment, or energy sectors. 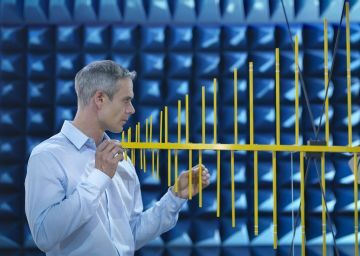 To achieve Electromagnetic Compatibility (EMC) for complex projects, EMC needs to be managed from the outset as it is invariably both difficult and costly to resolve problems once the equipment has already built and/or installed. By planning and managing EMC throughout the project delivery process, including control of sub-contractors and equipment suppliers, reviewing designs and implementing an effective strategy, most problems can be foreseen and avoided. Eurofins York can manage your project from concept to delivery and installation, or simply help you out with a particular component referred to below. Detailing the technical requirements is the starting point. This may be a harmonised European (EN) standard or a customer specification. It is also necessary to consider the operating environment for the equipment, as this may require a hazard identification (HAZID) resulting in additional requirements for the EMC specification and may result in an EMC hazard log. It is necessary to manage the EMC assurance process to ensure that the equipment/installation will meet the target specification. To do this an EMC Management or Control Plan is required detailing the responsibilities, deliverables (e.g. test plans, test reports and compliance reports) and sub-contractor/supplier requirements. As the project progresses, the results of test reports and other activities are compiled into a compliance report, which closes out hazards and forms part of the Technical Documentation for the equipment, or the EMC Documentation for the installation. 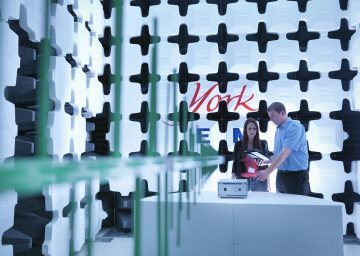 If you’d rather pick up the phone and have a chat with someone please call our York Office where our experienced engineers will be happy to talk things through with you.